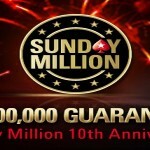 Luis “Turko_Man” Rodriguez claimed another Sunday Million event presented by PokeStars. 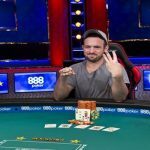 This Finnish player won his first Sunday Million event, back in 2009 and almost after 7 long years, he won another Sunday Million for $183,708. 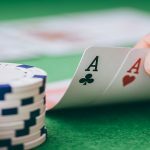 The man defeated salta44 of Argentina in a close game, who collected $136,298, being a runner up of the April 10th, 2016, $215 No-Limit Hold’em event. 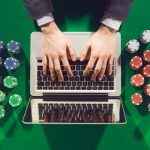 The latest event received 5,926 entries, from around the world and generated a prize pool of amount $1,185,200. Out of 5,926, top 855 places were paid. After nine hours of play 27 players were remained in the business were eyeing to win the prestigious championship title. Game was through at the tabkle and players were leaving/getting eliminated and just after another half hours more of the players hit the rail some of them were S Hawking(17th), ova dawg (16th), $harkFlo (12th) and Iam1966 (10th). Here is the final table after nine and half hours of play. 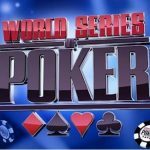 Seat#1,#2 and #3 was for acumen plus(2,725,660) Luis “Turko_man” Rodriguez of Finland921,973,654), and Canadian dffg 1,344,926 in chip counts. 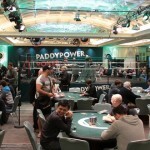 Seat#4,#5 and #6 were for players named salta44(9,827,187), pujarooo91(2,968,943), and German oOwL(2,794,634). Whereas seat#7, #8 and #9 belongs to Irish calamitas (2,912,159), DerRaeuber(12,504,311), and Canadian goldfish108(2,208,526). Just a few minutes of final table play Canadian dffg hit the rail to ninth position for $9,244. The next one to go was goldfish108 of Austria with $14,815 and finished at eighth position. German oOwL was the next victim of salta44, who made him to go out of the table with total $37,926. Calamitas claimed fifth place with total $66,548. The Hungarian played well before “Turko_man” raised for top button. Rodriguez had 9♥9♦, whereas calamitas showed K♣Q♣, besides the borad came T♥4♠5♠J♦5♥. Hungarian pujarooo91 is the next man, who hit the rail to fourth position and took home a good $66,548, as winning share. The three handed game included Luis “Turko_man” Rodriguez, salta44 and DerRaeuber. The play was in its 12th hour mark, when DerRaeuber got eliminated to third position, playing aganst Rodriguez, who had A♥Q♥ and DerRauber had J♥8♥. The board at the time was A♦4♥2♦. 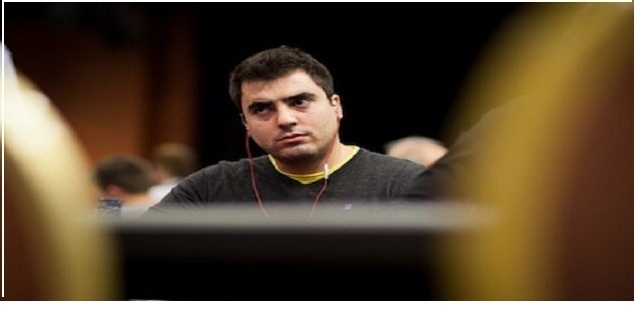 It means the final or heads up round took place among Luis “Turko_man” Rodriguez and salta44. Both of them were having almost same number of chip stacks. 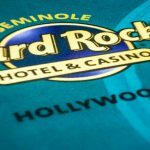 At the deciding time salta44 had A♠2♣ and Rodriguez had Q♣5♠, whereas the board Q♥4♥5♥ says that “Turko_man” is the winner of this week’s Sunday Million Championship title for $183,708.